Community Colleges of Spokane and five rural school districts in the region have partnered for a project that will help address gaps in learning for high school students as they prepare for college. The participating school districts — Mary Walker, Reardan-Edwall, Riverside, Grand Coulee Dam and Colville — make up the Eastern Washington Rural Alliance Partnership. 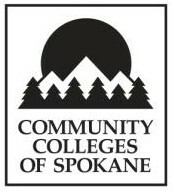 Community Colleges of Spokane will work with faculty in these districts to identify students who struggle in math or language arts so they can be more successful when they go to college. "It's to ensure that when students start at the community college level, that they are prepared to do college-level work," says Community Colleges of Spokane Chancellor Christine Johnson. Johnson says CCS will use data from the statewide Smarter Balanced assessments taken in 8th grade, along with student GPA and course difficulty, to identify which students may need more help in the subjects of math or language arts. Faculty from community colleges will then help teachers in the rural districts teach the students who are struggling to meet standards. Rachel Clements, a program officer for College Spark Washington, which provided a nearly $150,000 grant for the project, says it could help students who are not otherwise ready for dual-credit courses for college credit, many of whom are in low-income households. If more students in rural districts can be successful in those dual-credit classes, then their transition to college will be easier, she says.